Victor Adams was born on January 6, 1938, in Smithfield, West Virginia. He enlisted in the U.S. Air Force on May 27, 1955, and after completing basic training, he completed Helicopter Mechanic School at Gary AFB, Texas, in March 1956. His first assignment was as an H-19 Chickasaw helicopter mechanic with the 55th Air Rescue Squadron at Thule AB, Greenland, from March 1956 to April 1957, and then with Headquarters Mobile Air Material Area at Brookley AFB, Alabama, from April 1957 to January 1961. 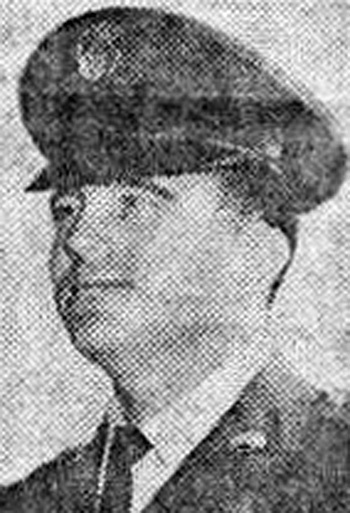 Sgt Adams' next assignment was as a helicopter mechanic with the 818th Aircraft Support Squadron and 307th Organizational Maintenance Squadron at Lincoln AFB, Nebraska, from January 1961 to February 1963, followed by service as an H-21 Work Horse helicopter flight mechanic with the 5041st and then the 21st Organizational Maintenance Squadron at Elmendorf AFB, Alaska, from February 1963 to February 1967. His next assignment was as a flight engineer with the 3630th and 3750th Consolidated Maintenance Squadron at Sheppard AFB, Texas, from February 1967 to April 1968, when he deployed to Southeast Asia. Sgt Adams served as a UH-1 Iroquios aerial gunner and flight engineer with the 20th Special Operations Squadron at Nha Trang AB, South Vietnam, from April 1968 to April 1969, and then served with the 1042nd Test Squadron at Dover AFB, Delaware, from April 1969 to February 1970. His final assignment was as a crew chief and flight mechanic with the 1st Helicopter Squadron at Andrews AFB, Maryland, from February 1970 until his retirement from the Air Force on June 1, 1975. Victor Adams died on June 1, 1981, and was buried at Arlington National Cemetery. The President of the United States of America, authorized by Title 10, Section 8742, United States Code, awards the Air Force Cross to Technical Sergeant Victor R. Adams for extraordinary heroism in military operations against an opposing armed force as a UH-1F Helicopter Aerial Gunner near Duc Co, Republic of Vietnam, on 27 November 1968. On that date, Sergeant Adams' aircraft was shot down by hostile ground fire and crashed in dense jungle. Disregarding his own injuries and the imminence of hostile activity, he assisted the copilot from the burning helicopter and returned to rescue the trapped personnel. He succeeded in pulling another man from the wreckage, before the severity of the fire and subsequent explosions forced him to abandon further rescue efforts. 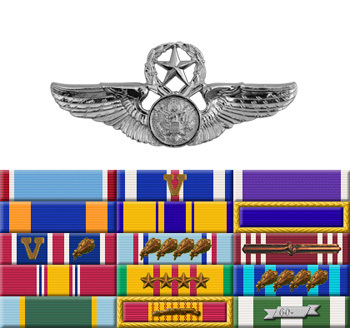 Through his superb airmanship, aggressiveness, and extraordinary heroism, Sergeant Adams reflected the highest credit upon himself and the United States Air Force.